Stush, is a British born Performing artist and Songwriter from South London. Born of West-Indian parents, Stush’s music is heavily influenced by Reggae and Dancehall music. She loves to perform, enjoys interacting with a crowd, and feels that music is ‘a way of life’. Stush is known for her quick-witted lyrical prowess, unique delivery and her electrifying performances. Recent collaborator, Falcons described her style as being ‘…Grime, Dancehall, UK Hip-hop all in one… with her ‘fast paced punch-lines…high energy…and amazing vocal range’. 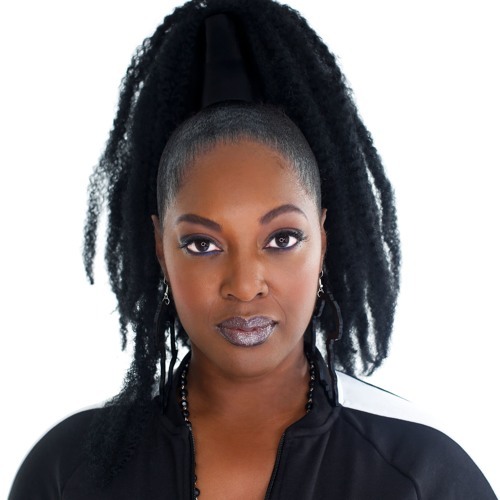 Shortly after graduating from the BRIT School, Stush recorded her classic UKG anthem ‘Dollar Sign’, for Social Circles with producer Sticky; then went on to sign an album deal with Go Beat, then subsequently to Island Records/Universal Music. In 2007, Stush secured the Top 10 single 'Get Down' alongside Groove Armada, resulting in a 3-year world tour incorporating New Zealand, Australia, Japan, USA and South Africa. 'Get Down' became a firm festival favourite with performances at Glastonbury (http://youtu.be/6FGnp_IGbsk), V Festival, Radio One Big Weekender, Love Box and many others. Stush’s repertoire boasts a number of club hits that include underground smash 'F Ur X' with UK rapper Sway for the 'Adulthood' soundtrack, the D'explicit produced 'Me Nuh Run From Them' and ‘No Chorus' from reggae veteran Curtis Lynch. Stush has made her mark by collaborating with producers such as Falcons, GTA, Gregor Salto, Retrohandz and Wiwek. With the latter Wiwek being the producer of club banger ‘Ground Shake’ which was released on Mad Decent. Other releases have been on labels such as Dimmak, Fools Gold, Night Bass and most recently ‘How it goes’ on Spinnin’ Records. At present Stush is writing and recording new material with some of the hottest producers in the UK scene such as FaNatix, which is expected to be released early 2017.